Now that the Galaxy S 5 has launched officially, we’re beginning to see more reviews and tests being performed on the product. We’ve seen drop tests, scratch tests, and now we’re beginning to see spoof-tests. If you don’t recall, Samsung’s new flagship also comes with a finger scanner in the home button for easy access to your phone and for payments using PayPal. In today’s highly tech based world, we all understand the importance of passwords and proper security measures. Now that technology has grown to include our fingerprints, as well, it seems like that would be the safest way to go for protecting valuable information. That isn’t always the case. A while ago, when the iPhone 5S was announced, a company named SRLabs took it upon themselves to try and hack the fingerprint scanner in the home button. The company has attempted and successfully managed to spoof a fingerprint on the Galaxy S 5, as well. SRLabs has released a video on YouTube that describes the way that they were able to complete this task. They snapped a picture of a fingerprint on the Galaxy S 5 and then managed to print it out (using a lab, mind you) on a mold made of wood glue. The main problem that is arising here is that not only does an attacker have access to your cell phone and all the important information it has, but they can also gain access to your PayPal account. The video also shows SRLabs using multiple attempts at swiping the fingerprint mold to access PayPal. Once inside PayPal, the attacker can access the PayPal balance and transfer money into whatever account they want. It’s important to realize that even though a finger scanner may seem like a really secure option for protecting your information, it could also be the weakest link in mobile security. That’s not to say that this problem can’t be fixed in the future, but currently, the two main phones that we’ve seen with a fingerprint scanner have been easily spoofed and broken into. Keep in mind that if you do choose to use a fingerprint scanner on your brand new Galaxy S 5 that you keep your phone in a safe place. Yes, the wood glue mold was created in a lab, and the average phone thief probably wouldn’t go to those lengths to break into a phone, but the possibility of it is jarring. Check out the full video detailing the spoof below. 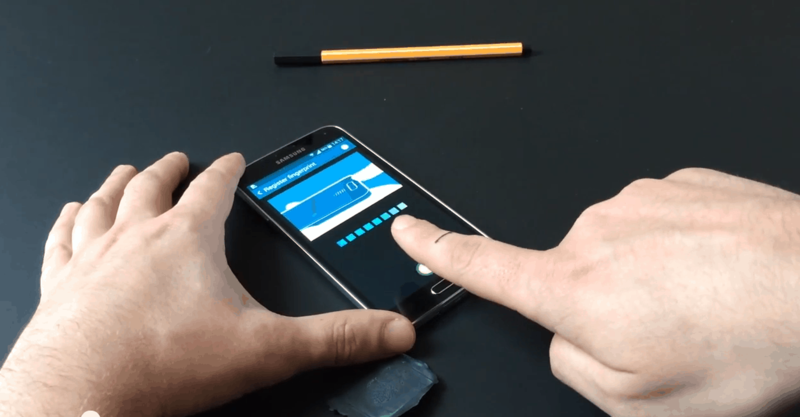 The post Galaxy S 5 Finger Scanner Can Easily Be Spoofed…Using Wood Glue appeared first on AndroidHeadlines.com |.